Uber’s plan for the profitability once revolved around autonomous vehicles. Former CEO Travis Kalanick recognized that driver pay was a large portion of the company’s expenses and wanted autonomous vehicles to eliminate them. But his replacement Dara Khosrowshahi charted a new course after an Uber test vehicle killed a pedestrian and once he saw that autonomous vehicles wouldn’t be ready for many years. Since Uber’s leadership has long been inspired by Amazon, Khosrowshahi also took lessons from the ecommerce juggernaut. Previously, the company tried to follow Amazon’s loss-leading growth strategy, but this time it recognized the value of Amazon’s platform — and the power that came with it. Instead of focusing on its ride-hailing service, Uber pivoted to its app. Khosrowshahi wants Uber to be the “Amazon for transportation” — the destination where everyone turns to see various modes at different price levels to get from point A to point B. Uber’s ride-hailing service is one option, along with its new bikes and scooters, and various third-party services, such as Lime’s bikes and scooters, car rentals from Getaround, and transit tickets through Masabi. Uber also recognized that customers who subscribe to Prime are more likely to turn to Amazon to make their purchases, so it rolled out a subscription plan to keep its customers coming back time and time again. But the benefit of this model isn’t just customer retention. Uber will get a cut every time a customer books a third-party service through its app and, even more importantly, it will get a lot more data on how people are moving within cities around the world. That data will be incredibly valuable from a corporate perspective, but it would also benefit urban planners — yet Uber has traditionally been very reluctant to share its data with cities. Should the digital platform for mobility be ceded to profit-driven private companies or should it instead be a service made available by the transit authority? Uber’s new strategy presents important questions for transit authorities. Aside from car rentals, taxis, and personally owned cars and bikes, the transit authority has traditionally provided affordable mobility through buses, subways, and even bike share in recent years. Should it also offer dockless bikes and scooters that have been popping up across the country? And should the digital platform for mobility be ceded to profit-driven private companies or should it instead be a service made available by the transit authority? The pursuit of profit often makes private companies act in ways that are out of step with the public good. There are countless examples of this, such as a recent Twitter thread documenting how Uber’s shared rides are much more expensive at Los Angeles International Airport to push customers into its pricier single-occupancy service. We need to seriously consider whether we want the dominant mobility platform in our cities to be controlled by private, for-profit companies that have an incentive to push their own services and take advantage of us when we’re at the airport or trying to get home at peak times. Tasking the transit authority with this responsibility would create a level playing field where public good comes first and residents won’t be used to boost the profits of a multinational company — or make them profitable in the first place. Of course, it’s not just Uber that’s competing to become the go-to trip-planning app. A whole industry is growing around the concept of mobility-as-a-service and companies from startups through to major automakers want in. They certainly don’t want the transit authority to step in and take away their chance at running a private utility that residents will rely on day after day. 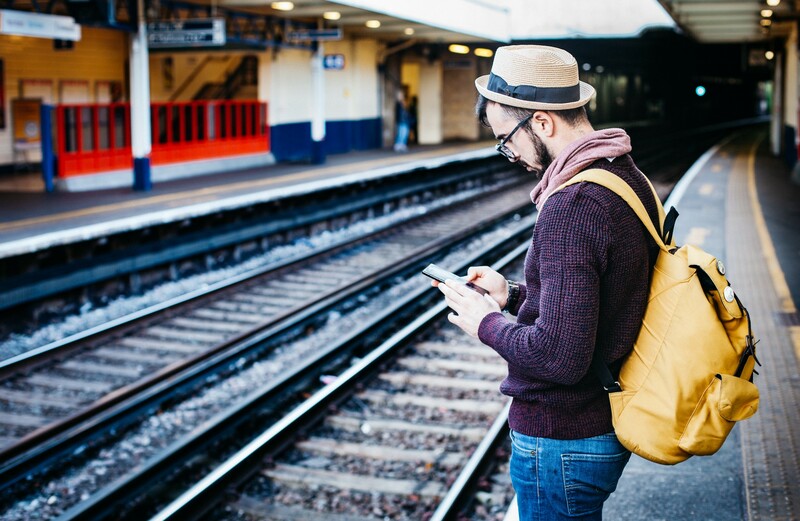 A recent Medium posted by whoever writes for Transit, a popular trip-planning app, argued that cities have an important role in requiring new transportation services to open their APIs, but that transit agencies will never be able to provide a good trip-planning app. Their first point is great — the data and APIs from these companies should be available to people, companies, and public agencies — but their second point is completely wrong. For decades, think tanks and politicians backed by the richest and greediest people in society have been pushing the idea that government is incompetent and a drag on the productive activities of the private sector. If only the government got out of the way, they asserted, everything would be better. But four decades of this thinking has proved otherwise. Slashing the government only makes it less effective for the people who need its services most, allowing the rich to get richer and everyone else to slowly slide into destitution. The problem with the government isn’t that it can’t do anything, but that it’s been infected by this false notion that it needs to rely on private companies for so much. The Transit post provides the example of GoLA, a multi-modal app that Los Angeles contracted Xerox to build. The outcome was terrible, and they should have expected little else! The problem with the government isn’t that it can’t do anything, but that it’s been infected by this false notion that it needs to rely on private companies for so much. The GoLA process gets repeated time and time again, but because we’ve been taught that governments can’t do the work, the failures continue. Remember the Healthcare.gov mess? It was also a result of large private companies being contracted to do the work. The reality is that, over the past decade, governments around the world have begun establishing divisions aimed at designing better digital applications for the delivery of public services, often inspired by the UK’s Government Digital Service that was formed in 2011. The goal is to bring more agile development talent in house that can improve government’s digital face without contracting work out to wasteful, bloated private contractors. The notion that the government can’t build great digital services to improve the lives of its residents is an outdated idea that needs to be forgotten. It’s perfectly fine for companies to create their own apps using open APIs and data, but the notion that the government can’t build great digital services to improve the lives of its residents is an outdated idea that needs to be forgotten. It’s understandable why companies continue to push it — they don’t want competition from a public entity — but we can’t allow them to get their way just because it will be better for their bottom lines. If there’s going to be an “Amazon for transportation,” it should be a platform designed and built by a staff of technologists within transit agencies or local governments using data and APIs from their own services and other private offerings. The transit agency’s app should be well-designed and the center of local mobility, making all options available to residents and letting them choose if they want to prioritize bikes and scooters or transit over cars. Transit agencies exist to serve our mobility needs. They’re often underfunded and underappreciated, but they work to serve their residents as well as they can with the resources at their disposal. That’s why our transit agencies, not Uber, should control the data and the platform on which the future of urban mobility will be built. Cities have more power than ever to shape the future. In Radical Urbanist, @parismarx explores their approaches to transportation, climate change, and monopolistic tech companies to see if they’re doing enough.